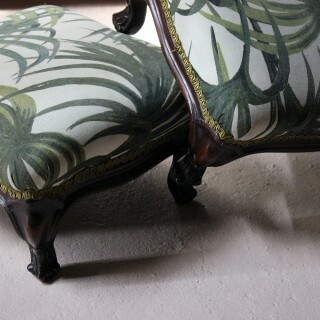 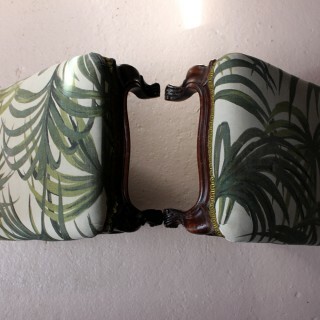 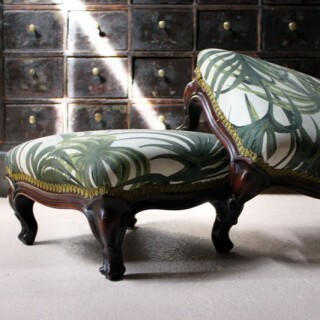 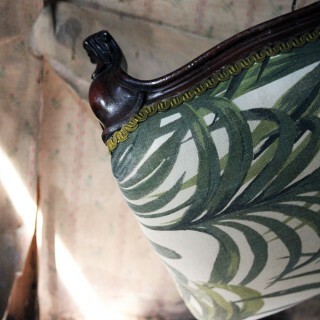 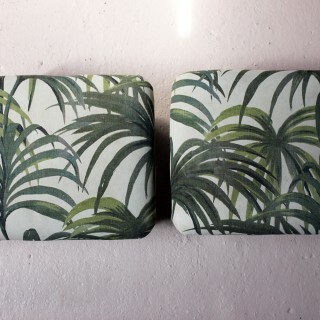 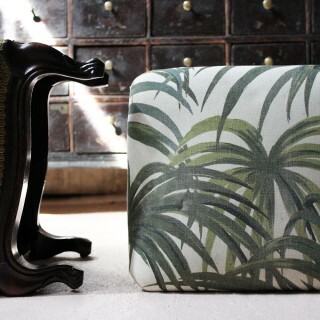 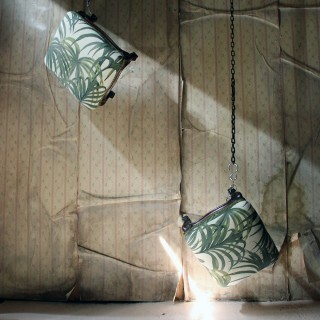 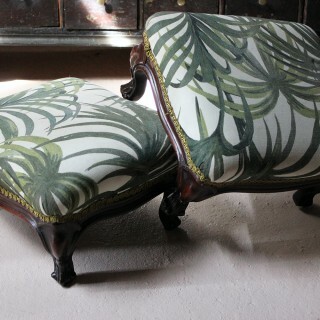 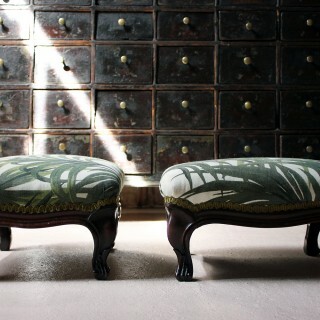 The pair of mahogany footstools having dwarf cabriole legs and upholstered in cotton linen in off-white and green ‘Palmeral’ by House of Hackney London, and each surviving from the last quarter of nineteenth century England. 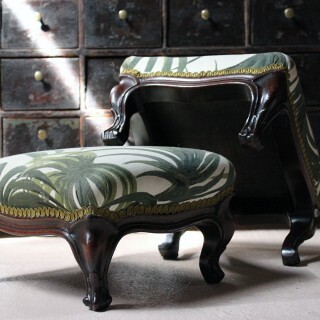 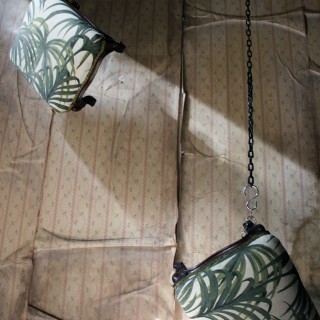 High Victoriana with a chic twist. 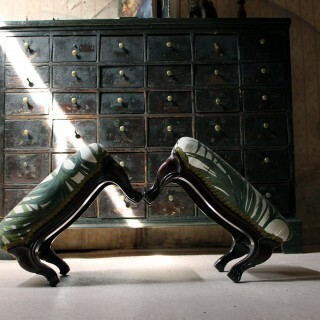 The stools are sturdy with some old repairs to the legs and a re-polishing of the wood at some stage. 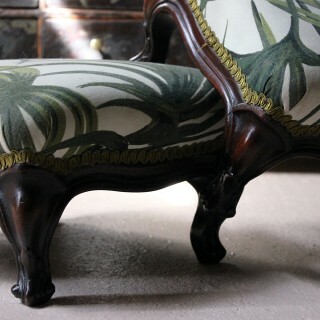 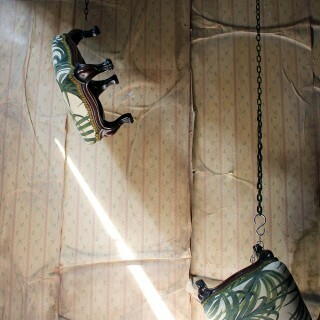 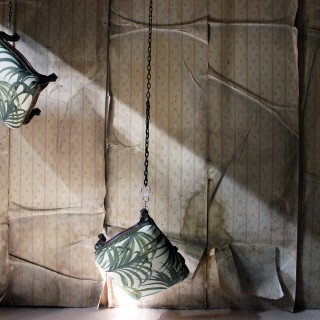 The upholstery is around two years old with some fade and slight staining.